The BCompt degree is specially geared towards students who wish to qualify as a Chartered Accountant. There are various other Financial and Auditing qualifications available to students. Complete a minimum of three years articles of clerkship under the auspices of a recognised accounting firm or commercial partner. Pass the Accounting Board Examinations. 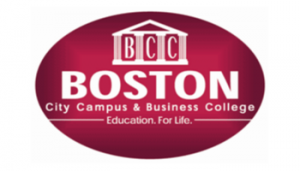 Boston boasts one of the finest Honours BCompt tuition centers in South Africa. In the 10 years that we have been offering this programme we have produced some of the top graduates in the country. Boston offers a full-time and part-time programme for students wishing to complete their CTA Honours degree. Our highly qualified lecturers have compiled extensive notes for each module to enrich your knowledge and understanding of the course. Modules offered differ from campus to campus. In order to determine exactly which modules are offered on either a full-time or part time basis it is essential to consult with a counselor at the relevant campus. While a module may be canceled, it will not be canceled once the academic semester has begun.